This is continuing feature on Archer’s Aim – Fantasy Authors Unplugged. I hope to frequently share an interview with a fantasy author. If you have authors to suggest and/or questions you’d like to see answered then leave a comment or send me an email. If you are a fantasy author and would like an interview please let me know and we’ll plan one that fits your schedule. Today I welcome Jenny S. Burke to Fantasy Authors Unplugged. Jenny has a unique background for her writing that I’m sure you’ll find interesting! Q: Hi Jenny, let’s start with the name and plot of your latest book. How are the sales? A: Thank you for inviting me! The Dragon Dreamer by J.S. Burke is a science fantasy adventure. There are dragons, an undersea world, an improbable friendship, and a dangerous quest. It’s layered for ages nine to 99. Arak is tormented for his un-dragonly talents. Determined to prove himself he leaves the clan, is caught in a fierce sea-storm and seriously wounded. A fearless, undersea shape-shifter named Scree heals him, and an unlikely friendship begins. When an undersea volcano erupts it triggers a towering tsunami and a deadly chain of events. Can Arak use his secret talents to save the dragons? Sales are fine; many books have found homes. Q: Is there a certain type of scene that’s harder for you to write than others? A: I write whatever is needed. Science research papers require clear, concise writing, which is useful training. Novels release the vivid, creative side; all those words I’ve squirreled away in my mind finally have a place! I really love writing scenes with action and danger. For some reason, a deadly storm or a nice tsunami just rolls off my fingertips! A: When I learned to read and write, I was a writer. I wrote poems for fun, savoring the words and imagery. I published poems in the third grade with the help of an awesome teacher. As a marine biologist, I published research papers in science journals. Books use a different knowledge base, but this is still writing . . . and re-writing, and re-writing. I use lots of feedback from readers when I write books! Q: How important are names to you in your books? Do you choose the names based on liking the way it sounds or the meaning? Do you have any name choosing resources you recommend? A: My dragon names sound dragony, and names of my undersea characters have the sounds of the sea. Science fantasy books need names that aren’t too common. I used a system to name my dragon-lords, dragon-ladies, and shape-shifters. 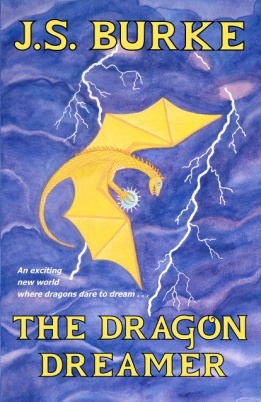 Arak, Driana, Scree, and Orm are characters in The Dragon Dreamer. Q: What can readers who enjoy your book do to help make it successful? A: I greatly appreciate all the readers who have taken the time to write and post a review of my book. A sentence or two is all it takes. This is so helpful to a writer. A: Book two is currently called Black Lightning. Some fans check in periodically to see how my sequel is coming along, which is rather nice. There are new dangers and adventures, the original characters and new ones. Drakor is a brash young ice dragon and a real thorn between his leader’s scales. Q: What did you learn from writing your book? A: The Dragon Dreamer is my first novel, so I learned how to write a novel: point of view, pacing, story arc, character arc, character types, setting the scene, and much more. Learning all this must be good for my brain. Q: What books have influenced your life most? A: I love Dune’s mysticism, the characters and quest in Lord of the Rings, Anne McCaffrey’s dragons, Alan Dean Foster’s detailed sci-fi worlds, and the friendships in Harry Potter. These books and many more influenced my inner worlds. I mixed my own experiences as a marine biologist with fantasy details to write The Dragon Dreamer. J. S. Burke has worked as an author, artist, chemist, teacher, and as a marine biologist, studying creatures of the dark abyss and diving on coral reefs. She lives in Georgia with her family and rescue pets. The Dragon Dreamer is a young adult science fantasy novel with flying dragons and an undersea world. Fantasy Snowflakes has original pen-and-ink snowflakes made of animals and plants; her dragons grow these in the clouds to learn energy control. Crystal Geometry has hands-on activities that use the angles of beautiful crystals to explore chemistry and geometry. Crystal Colors answers the question “What makes the colors of rocks and shells?” with cartoons and activities. 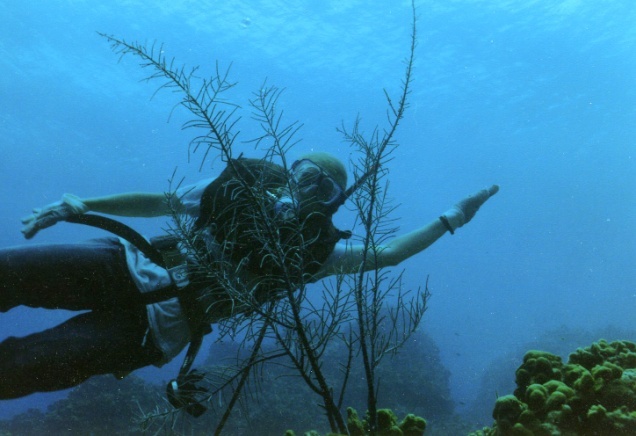 She has five published marine research papers. Jenny was manager of a marine research program for the Florida Department of Natural Resources. She has degrees in math and science, marine science, and education. Thanks to Jenny for the interview! 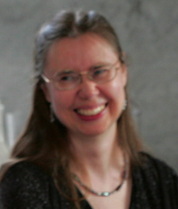 Please take a look at her book and support this interesting fantasy author. If you’re a fantasy author and would like to be interviewed for “Fantasy Authors Unplugged” just contact me via email or one of my social media channels and we’ll set one up. Please share your thoughts and ideas in the comments section. Sign up for my Archer’s Aim Digest mailing list to receive the forthcoming edition of my newsletter with announcements about upcoming releases and events (and there’s some big news this month). Want to be listed in The Bow of Destiny credits? Join the Insider Team to share upcoming links and receive inside information. Either way, you’ll be the first to have news about my books, especially some free offers this summer related to the upcoming release of The Bow of Destiny, the first novel of The Bow of Hart Saga. You’ll also receive a free coupon to download my e-book short story, The Black Bag, as well as July’s free e-book: Recommended Reading for Authors!